Writer's block has struck again with all its fury. It's been a week since my last post...and that was a short one...a quote from Tim Keller. Today's is a paraphrase of my favourite scripture verse...Deuteronomy 33:27. 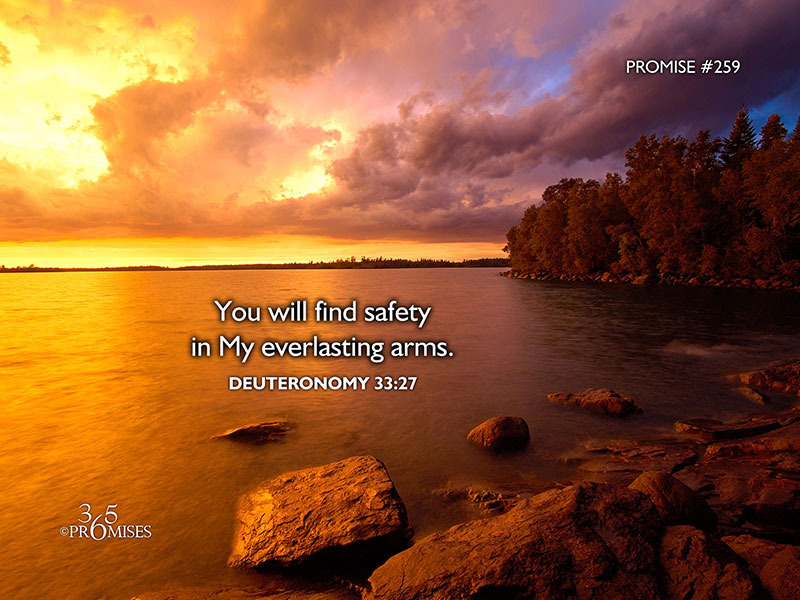 I'm grateful for the "safe place" that our eternal God provides...in His everlasting arms. I'm grateful too, dear cousin!